Mostly under the hood updates. 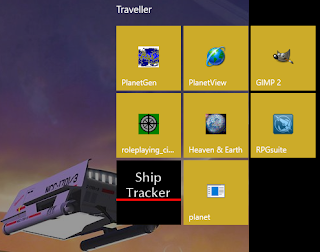 I've moved all the ship edit stuff to the ship tracking view, and removed the edit option from the main ship listing. So now there is just tracking, and to edit the ship use the info tab. A few other minor cleanups - apparently I was calling the TravellerMap API more than necessary (not that they are charging or anything but someone is paying for the web!) So there is a bit more checking to see if I've already loaded what is needed into the local DB before loading again. So that should also improve off-line capabilities a bit more (and I've not really tested that, but I am going with there will be problems). Mostly refactoring. Hopefully I'll finish that today. I also updated the tiles to be better. The splash screen as a tile does not work well. Not happy with the small or wide tile so those will also need a bit more work. But they are better than before. 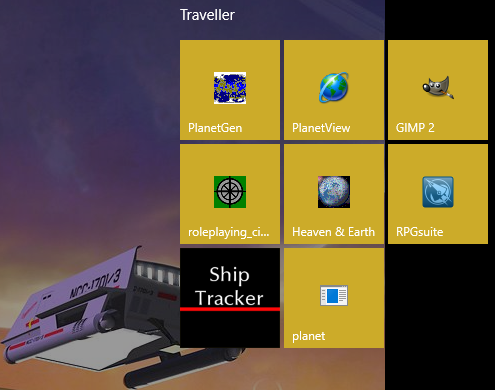 GIMP is under my Traveller selection as I pretty much only use it for Traveller stuff.